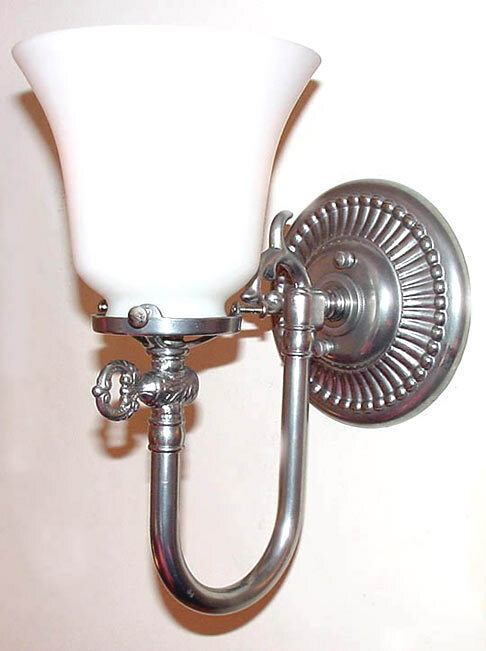 Another Federal Style gaslight wall sconce reproduction shown in pewter with opal milk shade. Looks great in other metals like polished brass, nickel and even our bronze! Can be designed in two arm version and mounted with glass facing up or down during installation. Width 5 In. / Projection 7 In. / Depth 10 In.